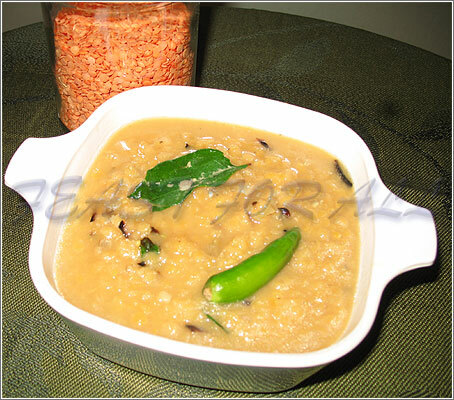 Masoor dhal curry is a very common side dish served with rice. In the tamil cuisine this dhal curry also served with idiappam and sothi. Different people cook this differently. Some people cook this spicy with red chili powder and tomatoes. This recipe is a very quick version of masoor dhal curry which only takes about 10 minutes. To make it even quicker, frying part can be completely omitted and chopped garlic and curry leaves can be added to the dhal and cooked directly. In this case, onion can be completely omitted. In a skillet add canola oil and add mustard seeds.